Yes you’re committed to losing some weight. Maybe it’s a little, maybe it’s a lot. You know it’s important for your health but you don’t feel great as you’ve lost your style and you’re no longer sure how to dress your body. We have the answers for you in Svelte in Style: How to Look and Feel Great While Losing Weight. Find out more here at our dedicated website for Svelte in Style. Do you know how to choose accessories to complement your outfits? Do you know the trick to finding the perfect all purpose shoe colour for your wardrobe? Do you want to know how to flatter your figure with the perfect accessories? Do you struggle with deciding which shoes to choose? Do you want to discover how to choose flattering glasses frames? Do you know more than 20 ways to tie a scarf? Do you know how to figure out your face shape and which earrings will be most flattering? plus so much more, Imogen Lamport brings you an easy to follow guide filled with loads of up-to-date colour pictures to help you choose the right accessories to create your most fabulous style. Discover how to dress your petite body with these tried and tested style tips. Do you struggle finding clothes to fit and flatter your shorter stature? Do you wonder what shapes and styles of clothes fit your petite body shape? Do you need help figuring out where is the best place to end hemlines, how long jackets should be and the ultimate length for your tops? Do you know how to select the best accessories to flatter? 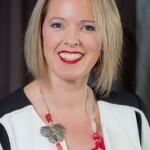 With years of experience helping her many petite clients find clothes to fit and flatter Never Short on Style is packed full of the tips and tricks that Imogen Lamport has picked up and is sharing with you today. Never Short on Style will help you have a wardrobe packed full of clothes that flatter you and make you feel more confident and vibrant. Read what one petite woman has to say about this book. Don’t wait, get your copy delivered directly to your inbox in minutes! 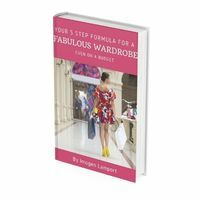 As an image consultant I’m always getting asked for tips, tricks and secrets to help people look better, so I thought I’d write an easy-to-read ebook that contains over 150 tips to help all women look better. With more than 100 colour pictures included to give you even more assistance and make it really easy to make a few quick changes to improve your image. Get your copy now pay with our secure server! Learn how to pack for your next trip so that you can easily take your luggage as carry-on and save time and the headache of lost luggage. Need a good dose of business inspiration? Are you curious to see how other women make money online? This is your chance to get a snapshot into the minds of successful online businesswomen. Discover their favorite websites, invaluable online resources and the exciting projects they are currently working on. Be inspired by their passion, creativity, success and flair for online adventures. Definitions of Empowerment, Inspiration and Business Fulfillment. The 30 businesswomen profiled cover the vibrant spectrum throughout various stages of business development. This ranges from the start-up phase, fuelled by excitement, to booming online empires. What is your business/personal mission? Who do you admire professionally and why? THE MILLIONAIRESS LEAGUE (30 Online Business Adventures including a chapter on yours truely Imogen Lamport) IS FOR ANYONE THAT ENJOYS READING MOTIVATIONAL PROFILES OF SUCCESSFUL BUSINESSWOMEN. It showcases women in various fields of interest such as publishing, share trading, property, iPhone app development, Law of Attraction, community building plus many more! Explore the world of possibility and inspiration from empowered online entrepreneurs.